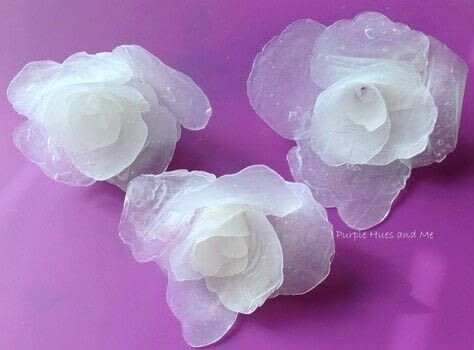 How To Make Hot Glue Flowers · How To Make A Flowers & Rosettes · How To by Gail G.
Have I got something for you that's so amazing and easy to make - flowers made out of hot glue! 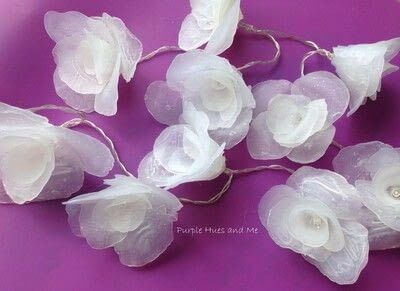 And the best part about making these adorable flowers is that you only need a hot glue gun, lots of glue sticks, parchment paper, and a large spoon! Begin by placing a sheet of parchment paper on your work area. 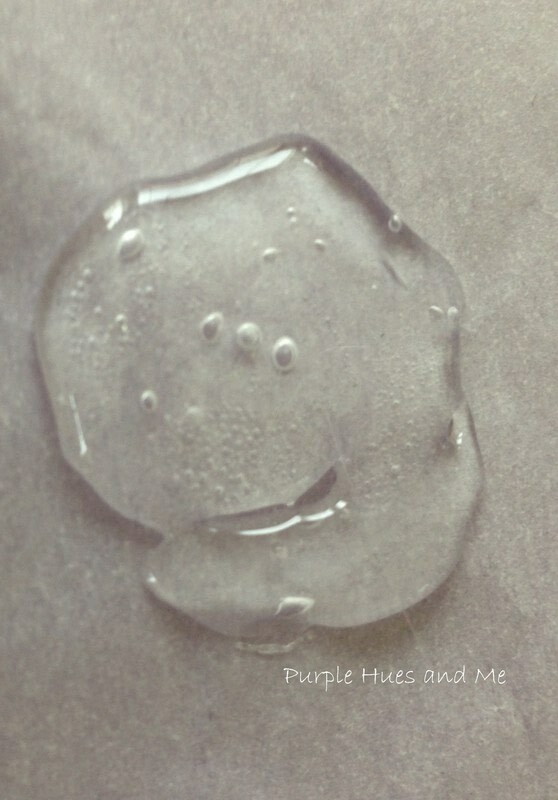 Squeeze out hot glue on the paper in a circular motion. 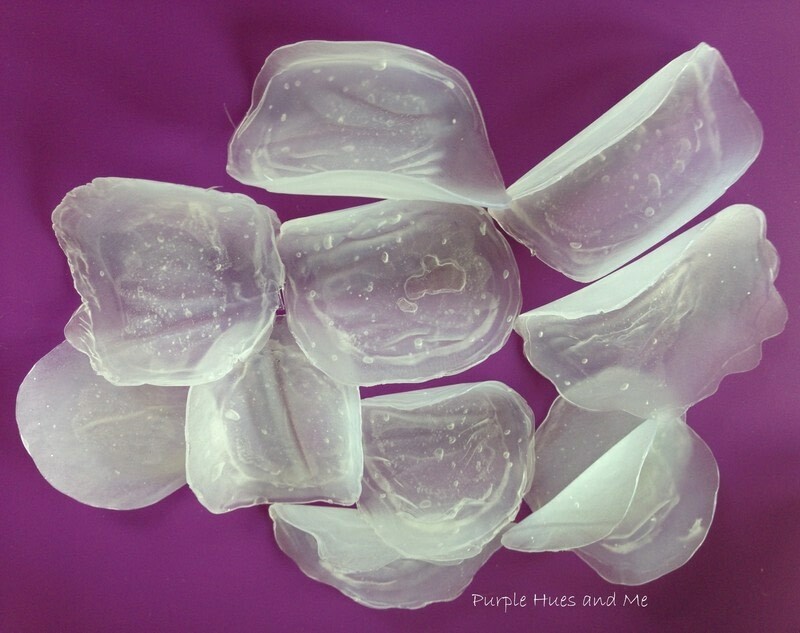 To make small petals you will need a small blob of glue and large petals, a large blog of glue. 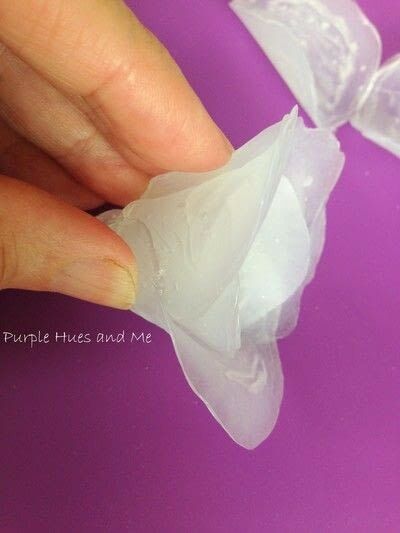 Cover the glue blob with a small piece of parchment paper. 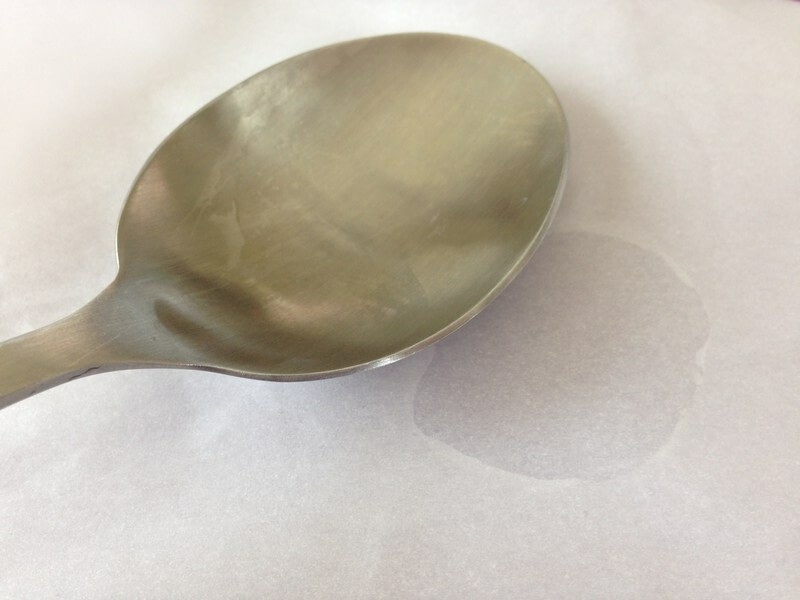 Using the bowl of a spoon, smooth out the hot glue, pushing down and out. For a more decorative pattern, push and flatten the glue at the 12-3-6-8 marks so you won't get a plain round circle. You can also use the palm of your hand in a circular motion to flatten the glue. After flattening the glue, roll up the parchment papers with the glue sandwiched between and let cool. Rolling helps give dimension and texture to the petals. 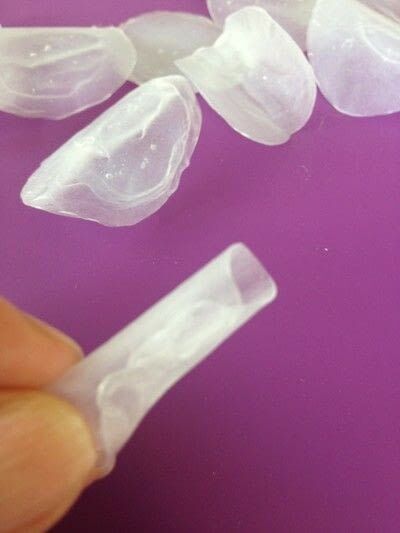 The curved glue petal easily peels off the parchment paper. If you see holes in the glue, just add more hot glue on holes and flatten with parchment paper. Don't worry about any small air pockets. For one flower, you should make 3-4 small hot glue petals and 4-5 larger petals. To Assemble Flower: Take a small hot gle petal and roll up loosely making sure you leave opening at both ends. Seal with hot glue. Take another small petal and add hot glue to center and attach small rolled-up petal. 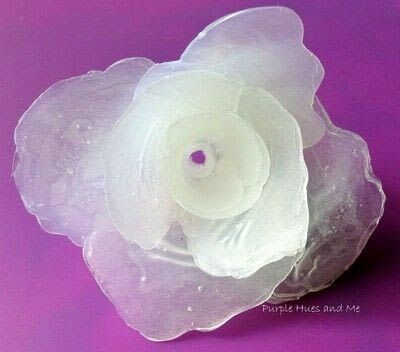 Add hot glue to ends of petal to seal. Continue gluing on petals, overlapping and alternating previously glued on petals into a flower shape. 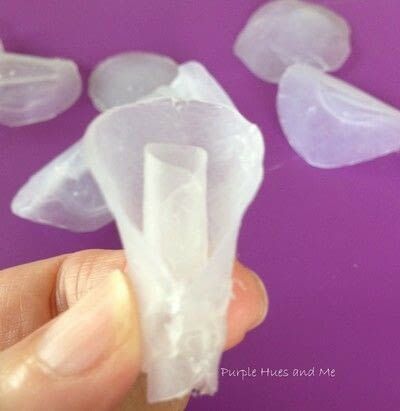 Have fun assembling your flower with hot glue! Soon you'll have a lovely flower that feels like rubber and is very flexible. The opening in the first petal allows for inserting LED string lights! Think outdoor décor or lights for holiday and special occasions!And you can color them using nail polish, glass or acrylic paint, spray paint or alcohol inks!